If you are a fan of old rail transportation, slow moving train service definitely is your choice to travel around Malaysia. Keretapi Tanah Melayu (KTM) is the sole train service in Malaysia. The intercity train routes cover from Bangkok, Butterworth, Kuala Lumpur, Singapore and Tumpat. However, except Kuala Lumpur, the other states in West Malaysia can only depend on KTM. The service of intercity train improved under ETS (Electric Train Service) which travel between Ipoh and Seremban via Kuala Lumpur. 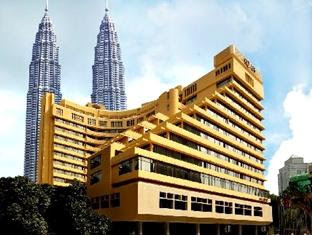 For Kuala Lumpur, various type of services are listed here. Commuter Train Around Kuala Lumpur and Selangor. Fast train from Kuala Lumpur to area surrounding it. dari ktm kepong sentral untuk ke wangsa walk macam mana ? dari ktm kepong sentral untuk ke sunway pyramid macam mana ? 2. Kelana Jaya and change RapidKL U623 to Sunway Pyramid. Damansara Heights, 50490 Kuala Lumpur by public transport?? if i used lrt from chan sow lin?? You can use LRT from Chan Sow Lin to Masjid Jamek, then use Kelana Jaya Line to Bangsar. From Bangsar Station use RapidkL T634 to Pusat Bandar Damansara. dari KL ke singapore, lebih cepat dan murah mana by bus or by train? 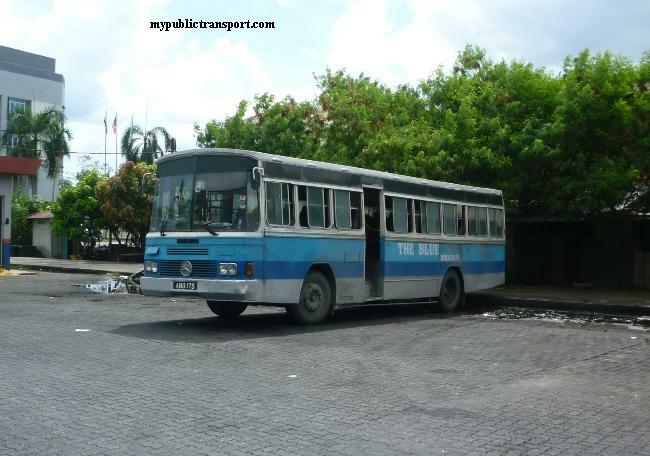 You can use bus if you prefer for cheaper and faster travel. How to go to cntrepoint bandar utama from Klang by train? how to go damansara uptown from ampang by train ? Hi, you can use LRT from Ampang to Masjid Jamek,then use Kelana Jaya line to Taman Bahagia Station. Last, use T626 from Taman Bahagia to Damansara Uptown. How do I get to this address: Menara A, Prima Avenue, Dataran Prima, PJ from KL Sentral? You can use LRT to Kelana Jaya station, then use RapidKL T622 to Dataran Prima. Hye! ;) How to go to puchong from Kota Damansara?? Kalau dari sungai buluh nk pergi subang jaya macam mana? You can use RapidkL U88 or Metrobus 99 to KL Sentral, then use RapidKL U60/U69/U70 to Puchong. You can use KTM from Sungai Buloh to KL Sentral, then use another line of KTM (which go to Klang) to Subang Jaya. hi, how to go to Taylor's Lakeside Campus from Gombak? Hi, you need to use RapidKL T602 from Shah Alam Section 9 to Shah Alam bus terminal, then use RapidkL T529 to SHah Alam KTM Station. Then use KTM from Shah Alam to Teluk Pulai, SAMT is near to there. Hi, you can use KLIA Transit from KL Sentral to Putrajaya. hi, how can i go Asia Jaya LRT Station from kajang? Hi, you can use KTM from Kajang to KL Sentral, then use LRT to Asia Jaya Station. hi, please advice me on how to get into cheras business centre from KTM/Monorail Bandar Tasik Selatan. Hi, you can take RapidkL T405 and T408, however you need to stop near Cheras Kajang Highway and walk to Chreas Business Centre. If you choose not to walk, you can stop at Taman Segar Bus hub and take RapidkL U47. You can take RapidKL U82 from 1Utama to Kl Sentral, then take monorail to Titiwangsa. 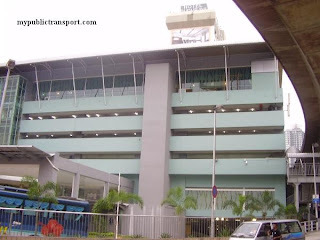 hi how to go to kota damansara from putrajaya sentral bus terminal? Hi, you can take KLIA Transit to KL Sentral, then take RapidkL U88 or Metrobus 99 to Kota Damansara. if from hentian putra to kota damansara? You can take KTM from Putra to KL Sentral, then take RapidkL U88 or Metrobus 99 to Kota Damansara. dari melaka central nak ke penang nnti nak kena transit kat mana-mana ka? tolong explain perjalanan please. You can take KPB Express from Melaka to Penang without transit. how to go from bangsar to subang airport on public transport? Hi, you can take LRT to Kelana Jaya, then take Airport Shuttle to Subang Airport, else you can also directly take U81 from Bangsar LRT to Subang Airport. U81 method will be faster . Hello! How do I go to Cyberjaya from Seremban? Hi, you can take KTM from Seremban to Tasik Selatan, then take KLIA Transit to Putrajaya./Cyberjaya terminal. Last, take U429 to Cyberjaya. how to go to low yat plaza from ktm klang? ?thank you. Hi, you can take RapidKL U30 from Medan Pasar to Hospital Ampang. Hi, you can take KTM from Klang to KL Sentral, then take Monorail from KL Sentral to Imbi, Low Yat is just opposite to the station. Hi, mcm mana nak pergi ke Perdana University drpd kepong? 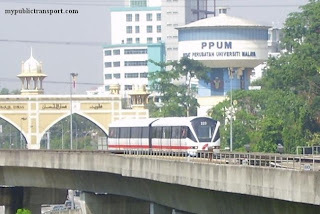 Hi, you can take KTM from Kepong to Serdang, then take RapidkL U416 to Perdana University. how to go from the bus stop in PPUM to puduraya bus terminal? Hi, you can take Metrobus 12 from Kotaraya to PPUM. 1) Courts Setapak from Kl Sentral by train??? 2) Festival City from Kl Sentral by train??? Hi, there is no need to start from KL Sentral unless you stays there. 1.. Take LRT from KL Sentral to Masjid Jamek and then take RapidkL U20, U24, U25 or Metrobus 49 to Courts Setapak. 2. Same as 1 except only U20 and Metrobus 49 goes to Festival City. 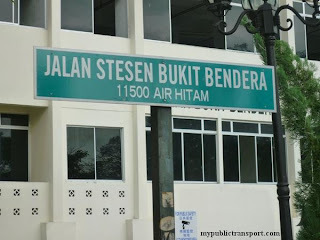 dari lrt tmn melati ke Jalan Astaka U8/84, Bukit Jelutong Business And Technology Centre, Shah Alam macam mana ye? Hi, you can take LRT to Universiti, then take RapidKL U80 to Shah ALam, then take U605 from Shah Alam bus terminal to Bukit Jelutong. how do i get to ktm klang from gold course by bus? 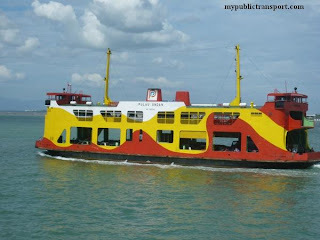 Hi, you can take taxi or Cityliner bus from Klang bus terminal across the river to Banting, then take taxi to Gold Coast. Hi, may i know is there any LRT or monorail station opposite the building Wisma Sime Darby in KL? If yes, what is the station's name and which line should i take from Kl sentral? Hi, the nearest will be Sultan Ismail station, but then since you starts from KL Sentral, you can take Monorail to Medan Tuanku and walk to Wisma Sime Darby as well. May I know how to go to puchong from seremban ? By ktm can? Need to go kl sentral first also ? Hi, you can take KTM to KL Sentral, then take RapidKL U60/U69/U70 to Puchong. How to go to Jalan Syed Putra from LRT Terminal Gombak? Hi, which part of Jalan Syed Putra you are heading to? P&A SMART SOLUTION (M) SDN BHD. SUITE 3B, LEVEL 3 WISMA YPR, LORONG KAPAR, OFF JALAN SYED PUTRA, 58000 KUALA LUMPUR. Hi, you can take LRT Gombak to Universiti Station. From Universiti Station, take T631 to Mid Valley and then walk over Federal Highway to Wisma YPR. How can I travel from KL Sentral to Sungai Petani by daytime train ? Please enlighten and thank you. Hi, there is no daytime train for this route currently. I will suggest you to take Express bus from Puduraya to Sungai Petani. how to get to wisma ypr from kl sentral or mid valley? Hi, you can take any bus that heading to Mid Valley. Once you reach Mid Valley, you can cross over Federal Highway and walk to Wisma YPR. Hi, you can take KLIA Transit from Putrajaya Sentral to KL Sentral, then take KTM to Sungai Buloh. 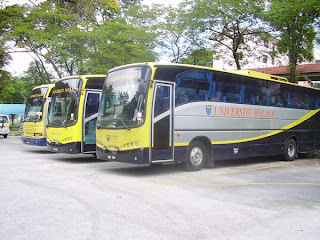 how to go to casa subang USJ 1 from mid valley using public transport?? Hi, you can take RapidKL U63 or Metrobus 10 from opposite of Mid Valley KTM Station near Federal Highway to USJ 1.
how to go to Sunway Lagoon from Kota Damansara by public transport such as bus and LRT ?? Hi, you can take RapidKL U88/Metrobus 99 from Kota Damansara and stop at Federal Highway Asia Jaya. Then cross opposite and take RapidKL U63, U67, Metrobus 10 or 13 to Sunway Pyramid. hello, dari shah alam nak ke wisma selangor dredging macam mana ya? is it possible to travel by train? Hi, you can take RapidKL U80 from Shah Alam to KL Sentral, then take LRT from KL Sentral to KLCC. Walk from KLCC to Wisma Selangor Dredging. hai, macam mana nk pegi 1 utama shopping mall dari bandar tun razak dengan menggunakn public transport? Hi, you can take RapidKL U45 to Salak Selatan or Bandar Tun Razak LRT Station, then take LRT to Asia Jaya (transit at Masjid Jamek), then take RapidKL U88 or Metrobus 99 to 1Utama Shopping Centre. Can i know how to go to TNB Jalan Bangsar from Lrt Taman Melati by train? Hi, you can take LRT from Taman Melati to Bangsar, then at the direction heading to Mid Valley, take RapidKL U64, U80 or U81 to TNB. You can also walk from Bangsar LRT to TNB if you want to. Thanks for reply. If I want to walk, it is far from LRT and what is the walking distance or thr estimate time? bagaimana hendak pergi ke sunway lagoon dari Kl sentral ? dan dari KL sentrel ke tune hotel damansara ? It is just about 10 minutes walking from Bangsar LRT. Hi, you can take RapidKL U63, U67, U76 from KL Sentral to Sunway Pyramid/Sunway Lagoon. You can take RapidkL U88 or Metrobus 99 from KL Sentral to Tune Hotel Kota Damansara. how can i go to this address 9-1, jalan metro perdana timur 1, taman usahawan kepong, 52100 Kuala Lumpur by public transport?? if i used lrt from chan sow lin? tq. Hi, you can take LRT from Chan Sow Lin to PWTC, then walk to Jalan Ipoh and take RapidKL U4, U8, U11, U13 or Metrobus 100, or any Selangor bus to Metro Prima. Metro Perdana Timur just opposite to Metro Prima. How can i go to The Strand, Kota Damansara, Persiaran Mahogani, Kota Damansara, from Universiti Malaya by public transport? Hi, you can take RapidkL U88 or Metrobus 99 from Universiti LRT station bus stop facing Federal Highway. 1. Hospital KL dari Vista Angkasa Apartment dan sbaliknya? 2. Hospital KL dari KLCC? 1. Take LRT from University station to Kl sentral, then take monorail to chow kit. Then you CSN walk to HKL. 2. Take LRT to Dang Wangi, then take monorail from bukit nanas to chow kit. Saya ingin pergi ke SEKSYEN 7 BANGI menggunakan komuter.Perhentian manakah yang paling dekat dengan SEKSYEN 7 BANGI..STATION KAJANG atau STATION BANGI? Hi, you can take Minibus 77 from Kajang town to Section 7 Bangi. 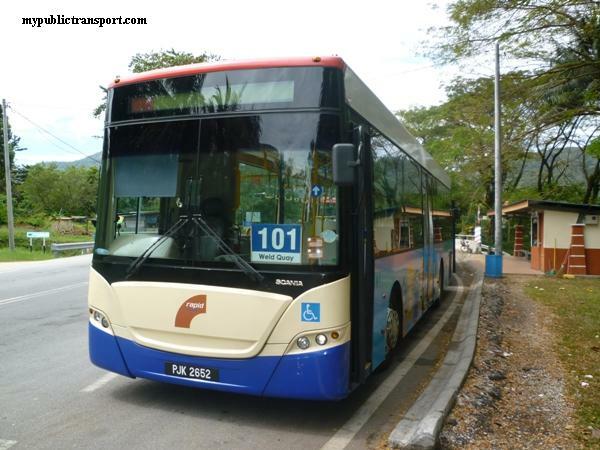 You can take RapidKL U40 or Sri Indah Bus to Kajang town from KL. Can I know what kind of apps do you used to help these people? Hi, it is my brain. Actually we are in the middle of coming out apps to help the people. Stay Tuned. Hi, you can take Monorail from Imbi to KL Sentral, then take RapidkL U87 from KL Sentral to your destination. hi. can you help me. i need to go to this address. taman ukay perdana, ampang. which public transport should i take from IJN? Hi, you can take RapidkL U21 from Jalan Raja Muda Abdul Aziz to Taman Ukay Perdana. 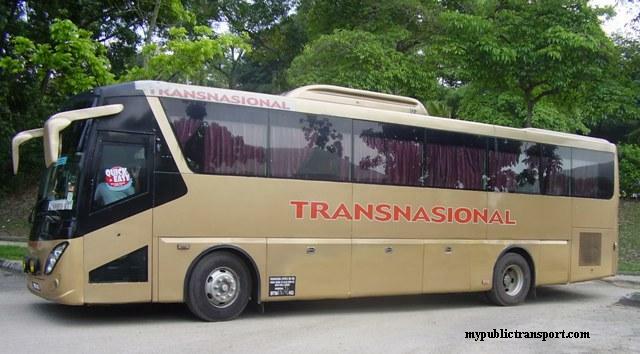 Hi, you can take Minibus from Bandar Baru Bangi to Kajang KTM, then take KTM to Bank Negara. Then you can cross over Klang River and walk to Menara TH Perdana. Hi, can you please tell how to go midvalley and ioi citymall from ktm subang jaya ? Thanks ! Hi, you can take RapidKL U67 from Subang Parade (outside of Subang Jaya KTM) to Mid Valley. You can take KTM from Mid Valley to Tasik Selatan, then take KLIA Transit to Putrajaya Sentral. Then you can take Nadi Putra J08 to IOI City Mall. You can also take Free shuttle bus from Serdang KTM Station. 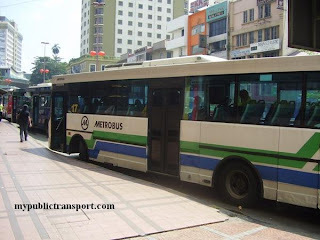 Hi, may i know how to go FRIM kepong from ampang by taking bus/train? thanks!! Hi, you can take LRT from Ampang to Putra, then walk to Jalan Ipoh and take RapidKL U4 to FRIM. Hello, how to go to bank rakyat jalan travers from LRT Taman Melati? Do i need to stop at Bangsar station? Hi, you can take LRT from Taman Melati to KL Sentral, then walk to Jalan Travers. Hi, you can take RapidKL U26. Hi, you can take RapidKL U81 from bus stop near Federal Highway at LRT Universiti. Hi, you can take RapidkL U80 to Shah Alam bus terminal, then take RapidKL U90 to Setia City Mall. Hi, how do i get to bukit jelutong from segambut? Hi, you can take KTM from Segambut to KL Sentral. Then you can take U80 from KL Sentral to Shah Alam bus terminal. Last, take U605 to Bukit Jelutong. hai , macam mana nak pergi sunway lagoon dr kg melayu subang? Hi, you can take RapidkL U81 and stop opposite to Setia Jaya KTM Station, then take RapidKL U63 , U67, or Metrobus 10, 13 to Sunway Pyramid, and then walk to Sunway Lagoon. Hi, you can take RapidkL U623, U62, U67, U76 from Sunway Pyramid to SUbang Jaya KTM station, then take KTM to KL Sentral. From KL Sentral, take another line of KTM that heads to Seremban. Hi, you can take LRT from Salak selatan to Masjid Jamek, then take Kelana Jaya line to Asia Jaya station. Hi, can i know how do i get to setia city mall from ktm shah alam? Hi, you will need to follow this step. 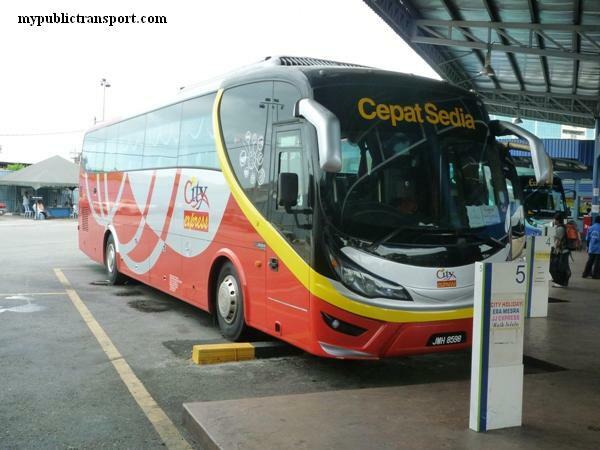 Take RapidKL T529 to Section 2 Bus Hub, then take RapidKL U90 to Setia City Mall. However the bus does not bring you directly to the mall, you need to walk quite far distances. Hi, is there any train that i can take from taiping to sungai buloh ? hi, may i know what time is the first train at KTM Serdang and also last train? Hi, the train operates from 6am to 11pm. Hi,,cmne nk pegi subang jaya dr selayang? And dr selayang ke bukit jelutong? Hi, can you specify the location that you mentioned in Selayang, Subang Jaya and Bukit Jelutong? Hi, if i want to go wisma sime darby (HQ), Jalan raja Laut from KL Sentral, what should i take ? Hi, you can take GOKL free shuttle Red Route. hi,how to get from lrt masjid jamek to metro drivng academy,kg melayu subang? Hi, you can take RapidKL U81 from Pasar Seni to metro drivng academy. Hi, how to get to Deloitte KL office at Taman Tun Dr. Ismail from Shah Alam using public transport? Hi, you can take RapidKL U80 or KTM depends on which part of Shah ALam are you from to KL Sentral, then take RapidKL U82 to Deloitte KL. Hi, you can take RapidkL U4, U8, U11,U13, Metrobus 100 or Selangor Bus to Masjid Jamek, then take RapidkL U30 or Metrobus 79 to Ampang Hospital. Hi, you can take T405 or T408 from MRR2 to Tasek Selatan LRT Station, then take LRT to Bukit Jalil. It should takes about 30 min. Hi.how to get to TNB Dua Sentral from shah alam using public transport? If can, I want to know which route to take if I want to walk from either kl sentral or kuala lumpur station to there. Thank you. Hi, it is nearer to walk from Kuala Lumpur KTM station. If you are near to Shah Alam KTM Station, you can take KTM to KL. Else you also can take RapidKL U80 which will pass opposite of TM KL Sentral. Hi nak tanya dari Setia City Mall Shah Alam nak ke Titiwangsa macam mana ye? Hi, you can take RapidKL U90 to Shah Alam bus hub, then take RapidKL U80 to KL Sentral. From KL Sentral, take Monorail to Titiwangsa. 1. Take RapidKL U623 from Kelana Jaya LRT station. 2. Take BRT from Setia Jaya KTM station. 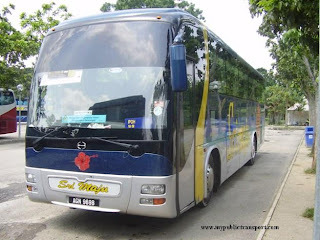 what is the best take bus or train, from Damansara Perdana to taman seri taming cheras. Hi, you can take RapidkL U88 or Metrobus 99 from Kampung Lanjan or Mutiara Damansara(Persiaran Surian) to Kota Raya, then take SJ Bus 62 or RapidKL U46 , U49 to Taman Seri Taming. Hi, you can take LRT from Taman Melati to KL Sentral, then take KTM to Kepong Sentral. The you can go to Persiaran Kuala Selangor and take RapidKL U4, U8, U86 Metrobus 100 or Selangor Bas to Metro Prima and walk to Metro Perdana. 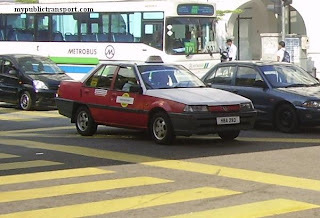 Hi, how to go Bandar Sri Damansara from Bukit bintang besides by taxi ? May be like train or LRT ? Hi, you can take Monorail from Bukit Bintang to Chow Kit, then go to Jalan Ipoh and take RapidKL U4, U8, U13, Metrobus 100 or any Selangor Bus to Metro Prima, then only take RapidKL U86 to Bandar Sri Damansara. Hi, you can take KTM from Serdang to Kepong Sentral, then take RapidKL U86 to Damansara Perdana. Hi, mcm mana nak pergi ioi city mall putrajaya dari ampang ? Hi, you can take LRT from Ampang to Chan Sow Lin, then take LRT to Tasik Selatan. From Tasik Selatan, take KTM to Serdang station, then there is free shuttle from Serdang KTM to IOI City Mall. hi,may i know the train tiket price and time duration from Ipoh to Kampar(by KTM)?And if i take KTM,where can i find the timetable of train? Hi, you can get all this info from the booking tool on our site. Hi, you can take Seranas 19 from Jalan Meru to Klang bus terminal, then take KTM from Klang to Bank Negara, then cross the river to Bandaraya LRT Station to take LRT to Bandar Tun Razak. Hi, you can take KTM to Klang station, then walk or take Selangorku Bas to Klang bus terminal, then take Seranas 19 to Setia City mall. Dari bts station mcm mana nak pergi hospital Kuala Lumpur ya? Hi, you can take KTM from BTS to Putra station, then you can walk to HKL. Hi can u help me how to get to wisma ICOM setapak from bukit jalil? Dari lrt kelana jaya nak ke setia city mall duna kenderaan awam nak naik apa? Hi, you can take LRT to Asia Jaya, then walk to Federal Highway and take RapidKL U80 to Shah Alam bus terminal. From Shah Alam, take RapidkL U90 to Setia City Mall. hye,mcm mana nk ke subang jaya dari seksyen 7 shah alam? Hello. Dari Bandar Baru Selayang nak ke sunway piramid macam mana? Hi, you can take the free Selangorku shuttle. Hi, you can take RapidKL U3 to Taman Wahyu KTM station, then take KTM to Subang Jaya. From Subang Jaya KTM, take RapidKL U62, U67, U76 to Sunway Pyramid. dari lrt setiawangsa ke ioi city mall cane? 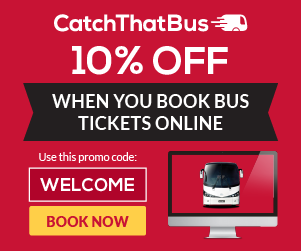 how to go gold coast morib by public transport from maluri? Hi, you can take LRT from Setiawangsa to KL Sentral, then take KTM from KL Sentral to Serdang. From Serdang, take ICM free shuttle to ICM. Hi, from Maluri, you can take LRT to Bandaraya, then take KTM from Bank Negara station to Klang. From Klang, you can take Cityliner 127 to Banting. From Banting, you can take another Cityliner bus to Morib Gold Coast. Hi, from KL Sentral, please take RapidKL U80 to Shah Alam bus terminal, then take U90 to from Shah Alam to Setia City Mall. hello , nak tanya kalau nak pergi IOI City Mall dari batu caves mcm mana ya ? Hi , how to go IOI City Mall from KTM batu caves ? Hi, you can take KTM from Batu Caves to Serdang (transit at KL Sentral), then take IOI City Mall free shuttle to IOI City Mall. Hi. Nak tanya macam mana nak pergi Setia City Mall drpd Wangsa Maju? Hi, you can take LRT from Wangsa Maju to KL Sentral, then take RapidKL U80 to Shah Alam bus terminal, then last take RapidKL U90 to Setia City Mall. Saya dari sungai besi ingin ke pasar seni naik ktm or lrt..
Hi, can I know which part of Sungai Besi are you from? Hi, you can take Cityliner 710, Causeway Link 58k or Seranas 99 to Hilton Hotel and walk to Jalan Persiaran Barat. 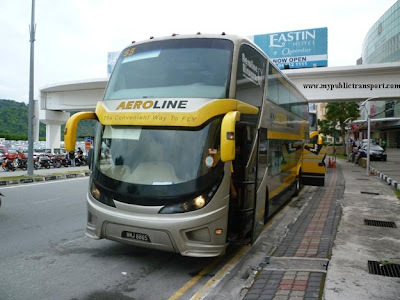 Hi, you can take Aerobus from KLIA2 to Klang Bukit Tinggi, then take Cityliner 127 or 710 to Klang bus terminal. From there, then you can take Seranas 19 to Setia City Convention Centre. From KTM Serdang, please take Rapidkl U432 or U41 to Bukit Bintang. To go to Festival City Mall, you can take KTM to KL sentral, then take lrt to wangsa maju. From wangsa Maju, please take Rapidkl u20, u24 or Metrobus 49 to FCM. hi, can I know how to go to Lake Fields Sg besi from wangsa maju? Hi, you can stop at Bank Negara Station and walk to Jalan Tangsi. hi. nak tanya macam mana nak pergi ke menara olympia menggunakan transport awam? Hi, you can choose to take the free GoKL Purple line from Pasar Seni to Olympia Tower. hye .macam mana nak pergi klang prade dari stesen titiwangsa menggunakan public transport ? Hi, you can take Monorail from Titiwangsa to KL Sentral, then take KTM from KL Sentral to Klang. 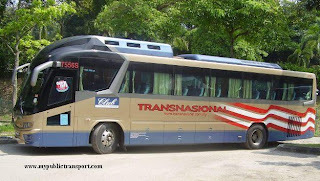 From Klang bus terminal, you can take Seranas bus 19 to Klang Parade. Hi, since you didn't state where are you from, so I assume is from KL Sentral. From KL Sentral to Shah Alam bus terminal it takes about 1 hour, and another 45 minutes from Shah Alam to Setia City Mall. 1. Take Monorail from Chow Kit to KL Sentral, then take Skybus/Aerobus to KLIA2. 2. Take Monorail to KL Sentral, then take KLIA Express to KLIA2.